I have a new favorite theme for my BB Curve now. It’s free, practical, useful, and perfect for me! Categories: GolffyBerry Tags: BlackBery, Curve 8900, GolffyBerry, Theme	Leave a comment ? So, what’s Tour? Tour is the combination of Bold and Curve (But more like Curve I think) How nice is that? Here is the summary of specification and key features: NOTE – the bad news is … NO WiFi! When will it be coming out? There is no launching date set at this time, but you can expect to see it during this SUMMER.. In the mean time, I’m looking forward to see Onyx – another coming BlackBerry model which is packed with all the nice features from Bold and Curve including 3G and WiFi too. 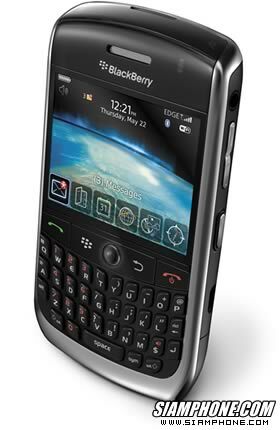 Categories: GolffyBerry Tags: BlackBery, Curve 8900, GolffyBerry	Leave a comment ? Categories: GolffyBerry Tags: Curve 8900, GolffyBerry	Leave a comment ? I would like to share a few themes with you. These themes are for Curve 8900 only. All you need to do is to click on the link and download it. This is called Over The Air method (OTA). Let’s take a look! After you installed the theme and you don’t like it, you can delete it: Options > advanced options > application > highlight theme > menu > delete. Yeah… my new BlackBerry Curve 8900 can read and type in Thai now. At first, I got the error message “App Erro 220”, and all I could do was to reset the phone. So, I had to reconnect the phone to the computer and used BB desktop manager to install everything new. Wheeeeww.. I thought I had to send the phone back! Oh.. GOOD NEWS! Now, T-Mobile reduces the price for new customers. BlackBerry Curve 8900 is now only $150 with (of course) 2-year contract. Categories: GolffyBerry Tags: Curve 8900, Gadget, GolffyBerry	Leave a comment ?